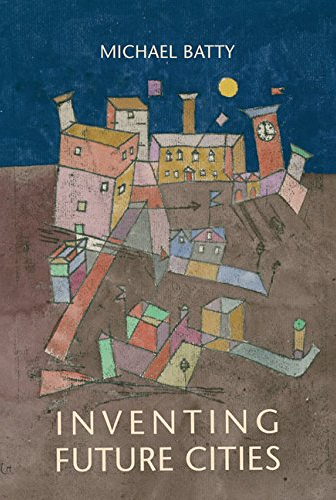 Readers of this blog might find this post a little out of left field (sorry I could not find a better analogy) as it about basketball and therefore the ball is in your court if you want to keep reading. At the upcoming SpringSim conference Matthew Oldham and myself just had a paper accepted entitled "Drafting Agent-Based Modeling into Basketball Analytics" where we take a shot at modeling basketball. Why you might ask? The rational is that sports analytics (SA) is a multi-million dollar industry but to date little attention has been given to agent-based modeling (ABM) even though sports can be viewed as a complex adaptive system (Matthew on his site has a great write up of this). To explore this notion we built an agent-based model (utilizing NetLogo 3D) which captures the basic dynamics of a basketball game. In order to calibrate the processes within the model we utilized 17 seasons (2000 to 2016) of individual game data from the National Basketball Association (NBA). The data collected included; game scores, winning margins, field goal attempts, the percentage of field goals made, rebounds, steals, and turnovers. From the NBA game data, density functions were calculated to aid calibrating certain aspects of the model. Via a set of experiments, the model indicates that an increased belief in the franchise player (think Michael Jordan) leads to increased scoring action, but a belief in the hot-hand had a minor effect. 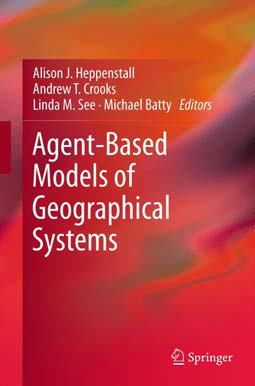 This results comes from the ability of agent-based models to identify the micro-interaction of agents responsible for generating system level outcomes and thereby, demonstrating the utility of ABM to SA. 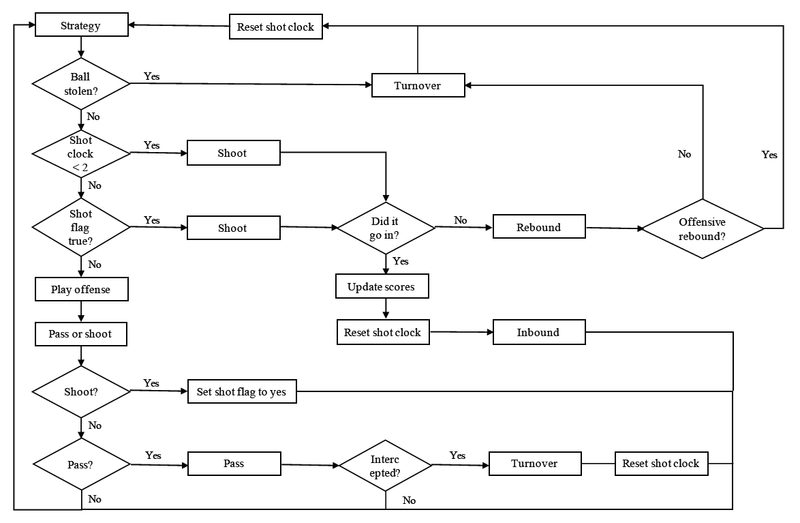 Below, you a can read the abstract of the paper, along with some figures outlining the play cycle in the model, some some results of the varying NBA game metrics compared to the model, a movie of the graphical user interface of the model during a representative game. Finally at the end of the post you can find link to the model and the actual paper. The growth of sports analytics (SA) has raised numerous research topics across a variety of sports, including basketball. 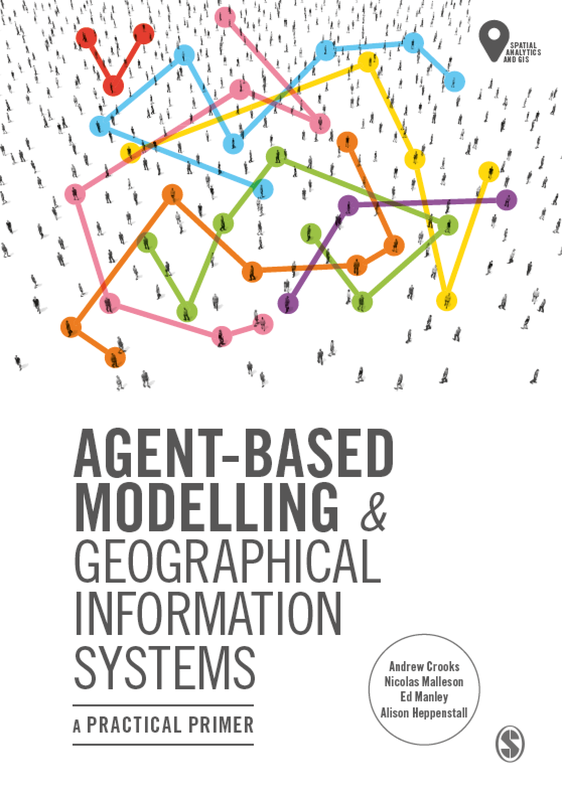 Agent-based modeling (ABM) has great potential to assist and inform SA, but to date it has not been utilized. To support the use of ABM in SA, a model of a basketball game, which considers most fundamentals of play, is presented. 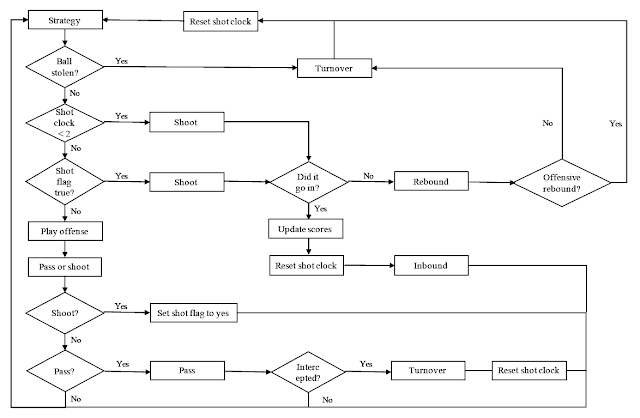 Additionally, player behavior is partially predicated on assessing the length of a player’s shooting streak (testing the “hot-hand” effect) and the consideration a team gives to a streak and their franchise player. The model’s output is used to calibrate and validate it against statistics from the National Basketball Association (NBA). 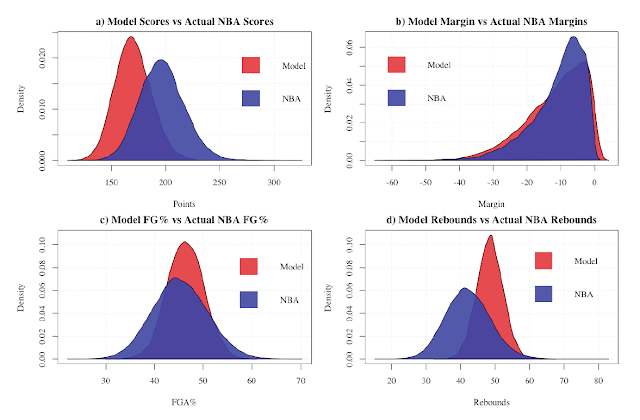 Via a set of experiments, the model indicates that an increased belief in the franchise player leads to increased scoring action, but a belief in the hot-hand a minor effect. Thereby, demonstrating the utility of ABM to SA, thus opening a new research field. Keywords: agent-based modeling, sports analytics, hot-hand effect. Figure 2: The play cycle of the model. Figure 3: Distribution of the varying NBA game metrics compared to the model. The model along with a detailed Overview, Design concepts, and Details (ODD) document can be found at: https://tinyurl.com/ABMBasketBall.